Professors Keathley and Mittell will organize, plan, and supervise the workshop, both in its content and design. They will be present each day during the two-week period, working with participants, leading discussions, presenting assignments, mentoring technology use, and guiding workshop critiques. Both Keathley and Mittell have explored such videographic criticism as scholars and teachers, routinely asking their students at Middlebury College to present critical concepts in a multimedia form. They have shared these pedagogical experiments with colleagues at other institutions, and have presented their own videographic work at conferences and symposia. The roots of this workshop emerged from the positive responses received from these presentations, suggesting that a broader interest in such work exists and needs to be encouraged and developed. The success of the 2015 workshop and the follow-up book, The Videographic Essay, affirmed this belief, and leading to another NEH grant for two more iterations for 2017 and 2018, and now the establishment of the DLASI. Christian Keathley (Ph.D. in Film Studies, University of Iowa; M.F.A. in Filmmaking, School of the Art Institute of Chicago) is Professor of Film & Media Culture at Middlebury College. He is the author of Cinephilia and History, or The Wind in the Trees (Indiana University Press, 2005) and numerous journal articles and book chapters. Keathley’s videographic production work has been screened at a variety of international locations, including: the Society for Cinema and Media Studies (SCMS) annual conference (2006 & 2011); the ‘Media in Transition’ conference at MIT (2009); as guest speaker at the University of London Screen Studies Group (2012); as keynote presenter at the University of Antwerp conference on ‘Photogenie and Cinephilia’ (2012); as keynote presenter at the University of Pittsburgh conference on ‘Cinephilia/ Cinephobia’ (2012); at the Deutschese Filminstitut Filmmuseum conference on ‘The Audiovisual Essay: Practice & Theory’ in Frankfurt (2013); and at the Birkbeck Institute for the Moving Image. He is the author of several publications directly relevant to this workshop, including: “La Camèra Stylo: Film Scholarship and the Video Essay” in the volume The Language and Style of Film Criticism (Routledge, 2011) and “Teaching the Scholarly Video Essay” in Frames vol. 1 (special issue, “Film and Moving Image Studies: Reborn Digital”). He is a founding co-editor of [in]Transition. Jason Mittell (Ph.D. in Media and Cultural Studies, University of Wisconsin – Madison) is Professor of Film & Media Culture and American Studies at Middlebury College, and the founding director of Middlebury’s Digital Liberal Arts Initiative. His books include Genre & Television: From Cop Shows to Cartoons in American Culture (Routledge, 2004), Television & American Culture (Oxford UP, 2009), How to Watch Television (co-edited with Ethan Thompson, NYU Press, 2013), Narrative Theory and Adaptation. (Bloomsbury, 2017), and Complex Television: The Poetics of Contemporary Television Storytelling (NYU Press, 2015; online at MediaCommons Press). As a founding member of the Society for Cinema & Media Studies Public Policy Committee, he was instrumental in drafting policy statements on copyright and fair use in teaching and publishing. As a founding member of MediaCommons Editorial Board, he has been involved in experiments in digital publishing and new forms of open peer-to-peer review. His first videographic essay, “Adaptation.‘s Anomalies,” was published in [in]Transition; he has since published more videographic work and presented his videographic scholarship at numerous conferences, exhibitions, and workshops. He maintains the popular blog Just TV and is the founding project manager for [in]Transition. Murphy will be present throughout the workshop, giving tutorials on various software platforms and providing general technical and project support. 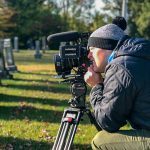 As the Media Production Specialist for the Film & Media Culture Department at Middlebury College (where the workshop will be held), Murphy is thoroughly familiar with the equipment and fully prepared to support the technical needs of the event. Murphy is also a practicing filmmaker and teacher of film production and cinematography. 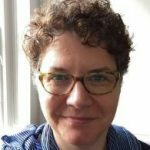 Grant, Professor of Digital Media and Screen Studies at Birkbeck, University of London, will be in residence for the second week of the workshop to mentor the participants and discuss her own videographic works. A producer of well over 200 videographic critical works, Grant is also the founder of Film Studies for Free and the host of Audiovisualcy, a website that gathers and presents videographic essay works. 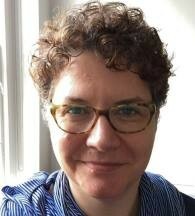 She is the author of a number of articles on videographic criticism, including “Deja-Viewing? Videographic Experiments in Intertextual Film Studies” (Mediascape, ULCA’s journal of cinema and media studies), and “The Shudder of a Cinephiliac Idea? Videographic Film Studies Practice as Material Thinking” (Aniki: the Portugese Journal of Moving Image Studies). See her complete list of publications on these topics here. In addition, Grant has taught videographic production at the University of Sussex and elsewhere. She is a founding co-editor of [in]Transition. Additional guests will be visiting throughout the workshop to provide mentorship and discuss their videographic work.